Nollie Moore is director of the Columbia College Music Program has been director of the Jane Froman Singers since 1999. He holds both a B.S. and a M.M. in Music Education from the University of Missouri. Under his leadership, the Jane Froman Singers have established a tradition of successful collaborations with mid-Missouri arts organizations in acclaimed performances. Concert tours have taken members to New York City’s Carnegie Hall; the great cathedrals of Scotland, England, Austria, Ireland, Italy; and concert halls in China. Away from campus, Moore is active as a professional tenor singing regularly with the Missouri Symphony Orchestra, for which he has sung leading roles in Die Fledermaus, La Traviata, Madama Butterfly, and Carmen. He also maintains a private voice studio. Nollie lives in Columbia with Julia, his wife of 27 years. They have two sons, Logan and Carter, both studying Music Education at Columbia College. Jared Smith is a second-year graduate student at the University of Missouri studying Music Education. As part of his assistantship, Jared works with Marching Mizzou and the concert bands, assists with the basic the conducting course, and performs and recruits with the Mizzou Brass Quintet. 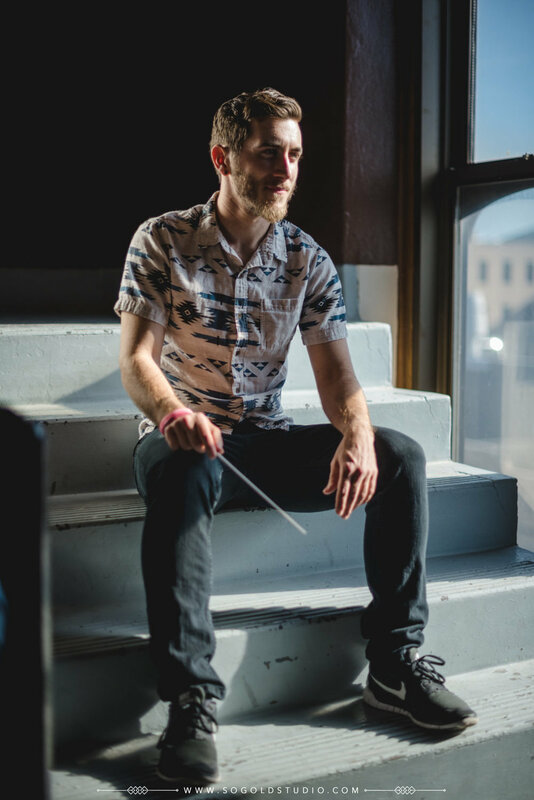 Prior to returning to the University to pursue a Master of Music degree, Jared taught for six years as an elementary music specialist for Columbia Public Schools and received his Bachelor of Music Education degree, also from the University of Missouri. Outside of Vox Nova, Jared plays bass trombone in the Columbia Jazz Orchestra and the Missouri Symphony Orchestra. He can be seen performing around Columbia and St. Louis in local band Saint Gnome, as well as other local ensembles throughout the Mid-Missouri area. Jonathan Ray hails from Russellville, Arkansas. He recently completed his doctoral studies at Louisiana State University. He holds the M.M. in Vocal Performance from UNC-Greensboro (2014) and the B.M.E. from Arkansas Tech University (2010). He has appeared with such companies as the Kansas City Lyric Opera, the Missouri Symphony, Opera in the Rock, St. Petersburg Opera, the Baton Rouge Symphony Orchestra, Opera in the Ozarks, and Greensboro Opera. His numerous operatic credits include the leading roles in La Traviata, Il barbiere di Siviglia, La Cenerentola, L’Italiana in Algeri, Don Giovanni, Die Zauberflöte, Die Entführung aus dem Serail, L’elisir d’amore, Albert Herring, and Candide. He has also performed leading roles in musicals such as Sweeney Todd, A Little Night Music, and Hairspray. Currently, Dr. Ray is the tenor Apprentice Artist with the Kansas City Lyric Opera and is also a professor of music at Johnson County Community College in Overland Park, KS. Jordan Blane Walker attended both Evangel University for his degree in Music Education (BM) and the University of Missouri where he worked on a M.M. in Choral Conducting with Dr. R. Paul Crabb. An active chorister and director, Mr. Walker has performed with and directed/assistant directed numerous choral ensembles including Vox Nova, the church choirs of First Presbyterian Church of Columbia and First Presbyterian Church in Fulton, and University Singers (MU). Mr. Walker has also performed the role of Guglielmo in Così fan tutte, Barnaby Tucker in Hello, Dolly!, and Charlie Brown in You’re a Good Man, Charlie Brown. 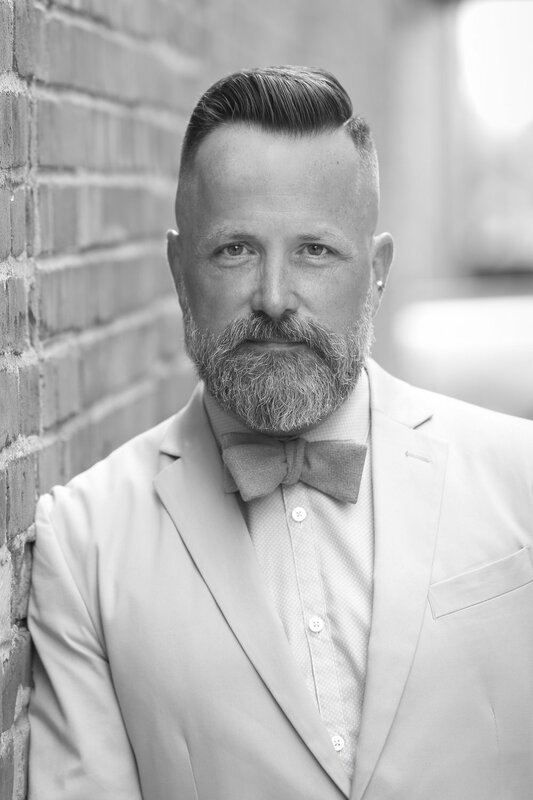 He is currently an elementary music specialist in the Columbia Public School District and looks forward to fostering a culture of choral singing among younger singers, as well as nurturing a mindset of critical thinking, self-dependency, competence, and self-efficacy with students living in poverty.